In one of my favorite novels, Jitterbug Perfume, by Tom Robbins, there is a quote: “Breathe properly. Stay curious. And eat your beets.” A lot of people do not like beets, and I did not grow up eating them, but I wish I had because they are one of my favorite foods when prepared well. I had absolutely no idea that you could eat the stalks or greens! 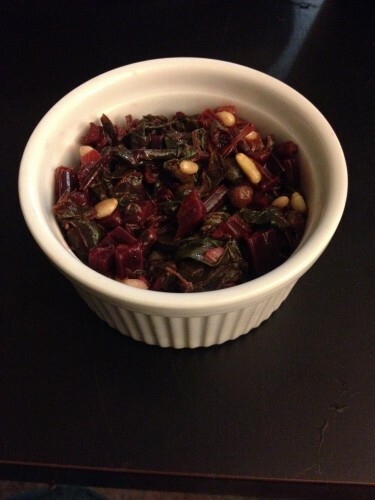 Tonight I felt guilty as I was about to throw them away so I Googled “things to do with beet roots” and found this awesome recipe, which I have modified slightly for my own tastes and what I had in my kitchen and included the recipe below. 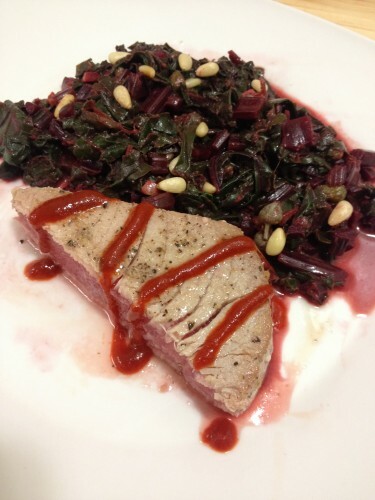 I served it with pan seared tuna, and it turns out the salad was even better than the tuna itself! 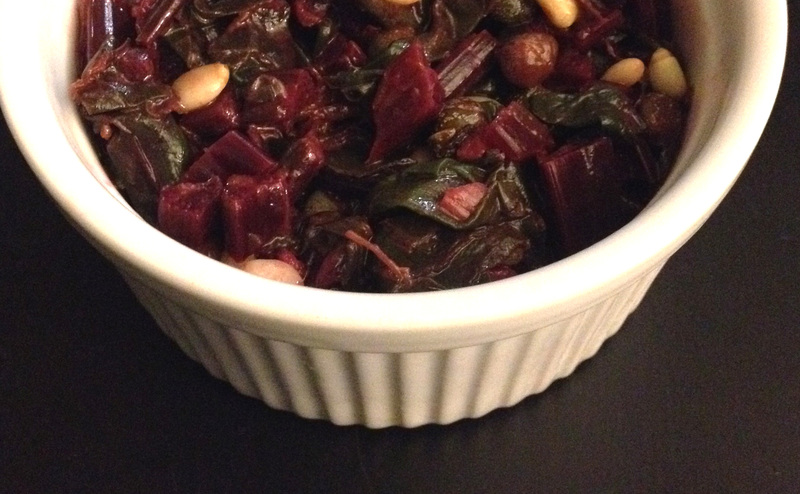 Serve as side dish or eat by itself!